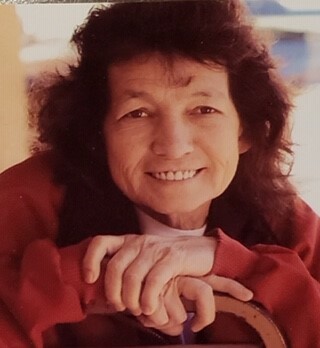 Katherine Laverne Poindexter, our loving mother, grandmother, and wife, took her place in heaven on Wednesday, January 23, 2019 in Fort Smith, Arkansas. Katherine was born in Peoria, Illinois on January 22, 1949, to Earnest E. and Ura Jean (Page) Hatfield. She married Elmar Poindexter on Feb 19th, 1964 and worked for Borg Werner for 30 years. Katherine leaves behind three children, Lloyd G. Poindexter, Carl & Phyllis Poindexter, and Caroline Ainsworth & Shane McDermott; three sisters, Shirley Kovar, Lilly Youngblood and Sally Hatfield; five grandchildren, Misti & William Crawford, John & April Hennessee, Shania Lynn Poindexter, Tora Ray Ainsworth and Taylor Kynadee Ainsworth; five great grandchildren, Jonie R. Hennessee, Lanie A. Hennessee, Richard K. Hennessee, Zoe L Hennessee and Phillip C. Hennessee; along with a host of other relatives and friends. She was preceded in death by her parents; her husband; one brother, Edward Eugene Hatfield and one sister, Rosetta Rios. Visitation for family and friends will be Friday evening, January 25, 2019, from 5-7 PM in the Sequoyah Memorial Chapel of Forever Memories Funeral Service, 463505 Hwy 101, Sallisaw. Funeral services will be on Saturday, January 26, 2019 at 2:00 PM in the Sequoyah Memorial Chapel of Forever Memories Funeral Service. Interment will follow at Marble City Cemetery. Services will be officiated by Brother Heath Wood. Casket bearers will be Troy Parker, William Crawford Jr., Brian Strickland, Clinton Poindexter, John H. Hennessee III and Richard K. Hennessee. Honorary casket bearers will be Shania L. Poindexter and Jonie R. Hennessee. Funeral arrangements are under the direction of Forever Memories Funeral Services, 918-775-2222. So sorry to hear of Katies passing. Our thoughts and prayers are with your family. Caroline and family, I am so sorry and wish that I could find the words to take away your pain. Please know that we love you and are praying for you and your family. I am so sorry. I didn't know about Katie passing. I would have been there. We had some good times at work and after. She was a good friend.